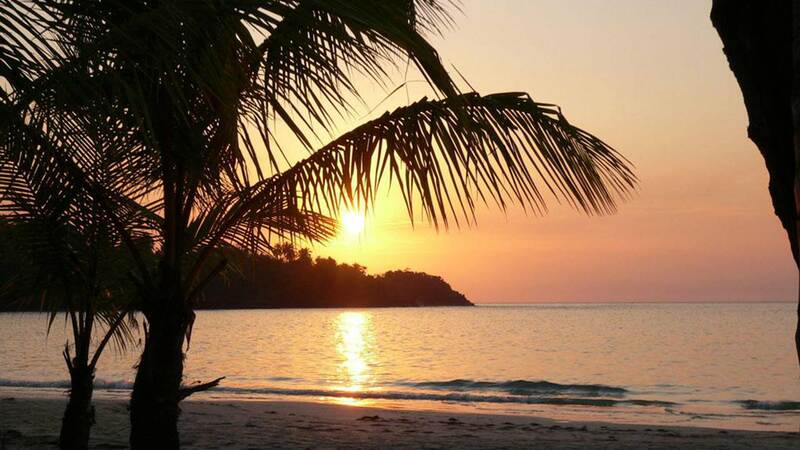 Samaná is the most beautiful region in the Dominican Republic and your visit is not complete without visiting and exploring this spectacular peninsula. Unfortunately, it is a 4 to 5 hours drive from Punta Cana, but we have the perfect solution for you: we’ll go by boat! Further advantage of this option is that a trip to the stunning national park Los Haitises is included as well, which is mostly only accessible by boat. And last but not least you can see one of the two biggest attractions the Samaná peninsula has to offer (depending on the season): the waterfall Salto El Limón or the whales migrating in the bay of Samaná.. In the morning your personal driver will pick you up at your hotel in Punta Cana, Bavaro, Macao or Uvero Alto. On your way along the rolling hills of the Cordillera Oriental you will pass little villages and some beautiful views of the area. There is an option to make a stop at Montaña Redonda, an impressive and unique hill, from where you have a 360° panorama and can make absolutely amazing photo shots, thanks to its extra-large hanging swings and the incredible view from the mountain top. You can either hike up on a strenuous 30-45 minute climb or take one of the safari trucks available at the trailhead. 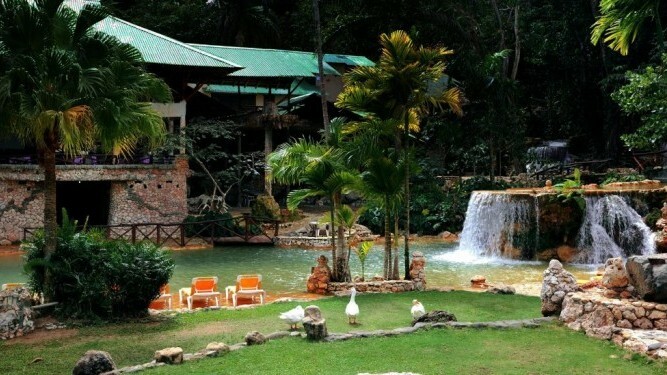 After an approximate 2.5 hour drive you are about to arrive in our amazing eco-lodge in the national park Los Haitises. It is rustic, but cozy and the surrounding waterfalls all over the property are stunning and absolutely unique. You can enjoy the local Dominican lunch buffet and use your afternoon to swim in the different natural swimming pools – a refreshing experience. Alternatively you can explore the national park with a guide or just enjoy the great views over the park. At night, relax and have dinner while listening to the gentle sounds of the waterfalls. 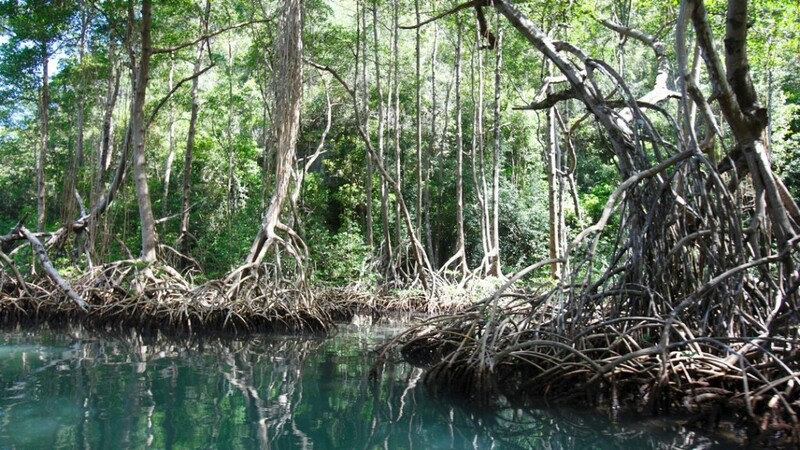 After breakfast, you will grab your luggage and go on a boat excursion through the mangroves towards the enormous lagoon “Bay of San Lorenzo”. This lagoon is simply breathtaking and unique in its natural splendor. Move slowly through the shallow water and observe how the rock island was formed over the centuries, providing a place where countless varieties of birds can be seen. In fact, there are more than 120 different documented species of birds, one of which is the “Cigua Palmera” (Palm chat), the Dominican Republic’s National Bird. This fantastic primitive landscape was first populated by the Ciboney tribes and later by the Tainos. Their existence is documented in numerous cave paintings of whales, fish, insects and a shaman (Behique). With a little luck you may also get to see a rare West Indies manatee in the lagoon. 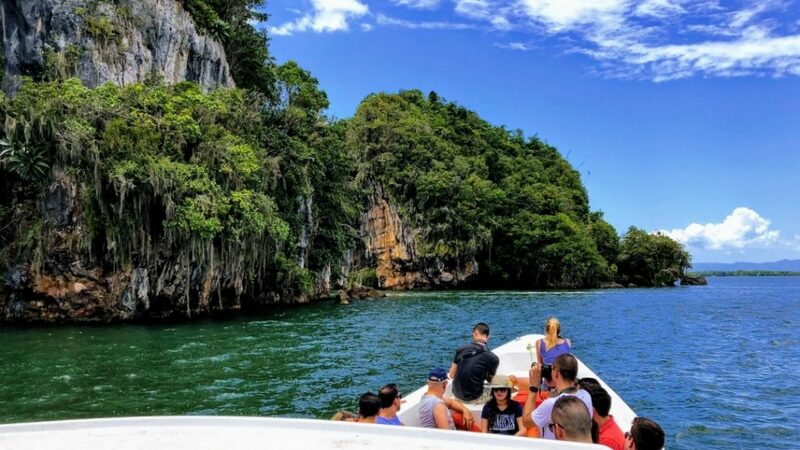 From here, the boat will take you across the Samaná bay to Cayo Levantado where you will enjoy a delicious Dominican lunch and have time to relax on the popular beach of Cayo Levantado, also called Bacardi Island. In the afternoon, the captain will take you to the port of Samaná where your chauffeur is already waiting for you to bring you to Las Terrenas. A very modern 1-bedroom-suite in a beachfront hotel (only a road is between the hotel and the beach) in the village centre is booked for you, from where you can explore the multiple bars and restaurants of Las Terrenas. 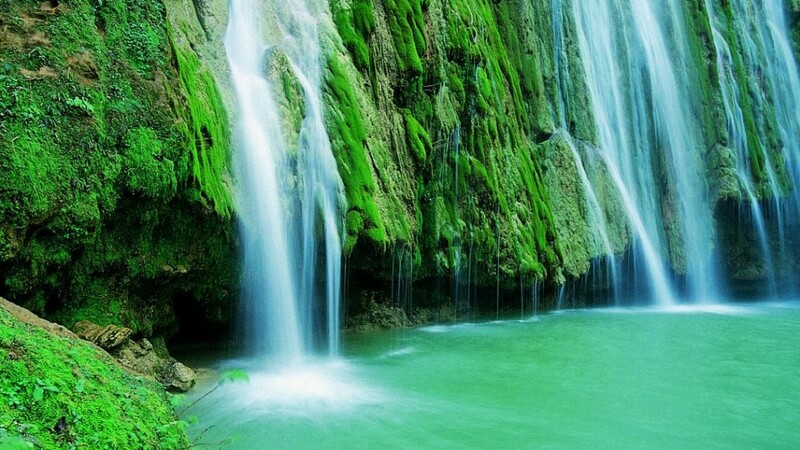 Depending on the season, you will go either on a boat trip to observe the giants of the ocean or on a ride to see one of the most beautiful waterfalls of the Dominican Republic. 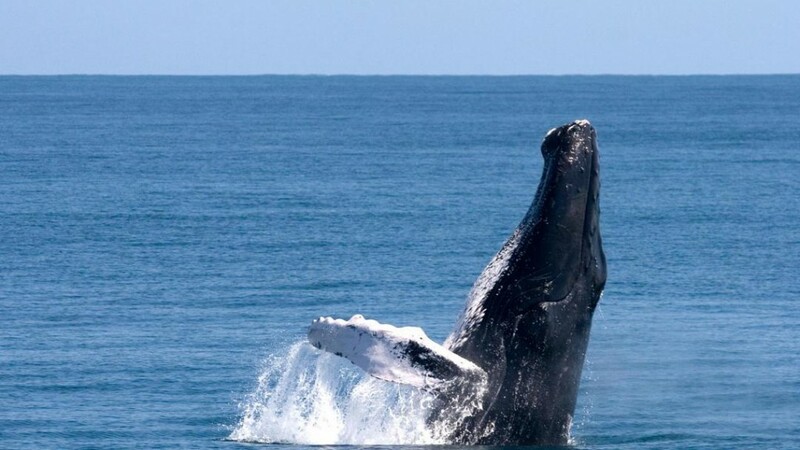 The mating season for humpback whales is from mid of January until the end of March. These massive animals splash in the warm waters of the Samaná bay and are truly a wonder to see by boat. Our tour take you into the bay to see the impressive whales and learn everything about these mammals from your interpretive guides. If you are staying off the whale season (April until the begin of January) or on request, you will head to the Salto El Limón, the highest waterfall in Samaná and the most beautiful one in the Dominican Republic. After a short transfer from Las Terrenas (20 minutes) you can either go by mule/horse or by foot through the dense vegetation of the area until you reach the falls after 30-45 minutes. With either option a steep stairway has to be walked down and up, but you can refresh yourself in the wonderful natural swimming pool of the waterfall and take amazing photo shots. Your afternoon and evening is at your free disposal. We recommend you to enjoy the beach town atmosphere of Las Terrenas and visit one (or more) of the several beachfront bars and restaurants. 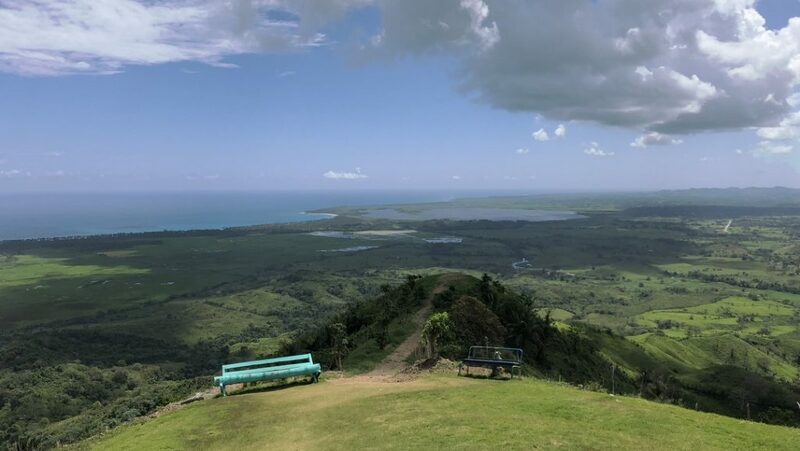 Today is time to say goodbye to the Samaná peninsula, but not without spending some more time on more highlights the Dominican Republic has to offer. For this last day, we have three options for you, of which option 1 is included in the package and the other two options can be added if you wish. 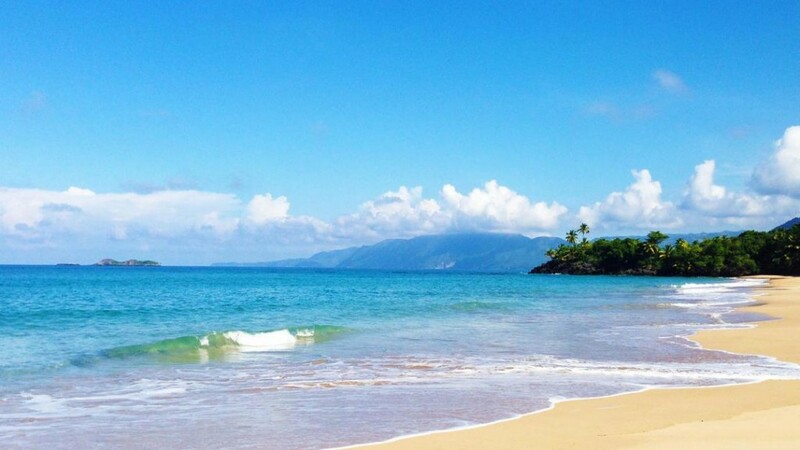 Enjoy some free-time in the morning in Las Terrenas and explore more of the surrounding beaches. We recommend you to take a short ride to Playa Cosón, a several mile-long beachwhich is both pristine and incredibly beautiful. After lunch-time, our private driver will pick you up in Las Terrenas (if desired we can arrange the pick-up right at Playa Cosón) and bring you back to Punta Cana. The well-maintained highways on this road makes it a quite quick journey of 4 hours. In the morning, our private driver will pick you up in Las Terrenas and bring you to Santo Domingo, which is half-way between Samaná and Punta Cana. Upon arrival in the UNESCO-awarded Zona Colonial a private guide will welcome you for your private walking tour along the most historic places of the country – all clustered right in the Zona Colonial. 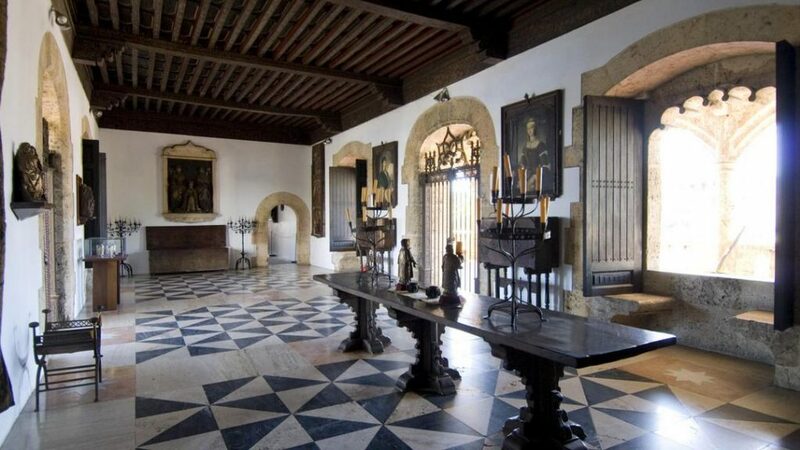 During this 2.5-hour guided walking tour you will follow Columbus’ footsteps and see (among other things) the oldest cathedral of the New World, castles, ruins and the residency of Columbus’s son, Don Diego. You will also visit a cigar manufacturer, where you will see the production of the popular Dominican cigars. After the walking tour you can have lunch, spend about an hour more wandering along the narrow streets on your own and afterwards head back with your private driver who will bring you safe and sound to your hotel in Punta Cana. If the journey via land is too long we can also book a flight for you (subject to the itinerary). Enjoy some hours in the morning in Las Terrenas and head to Playa Cosón as recommended in option 1. After lunch, you will be picked up by our private driver who brings you to the Arroyo Barril Airport, approximately a 50 minutes drive away from Las Terrenas. 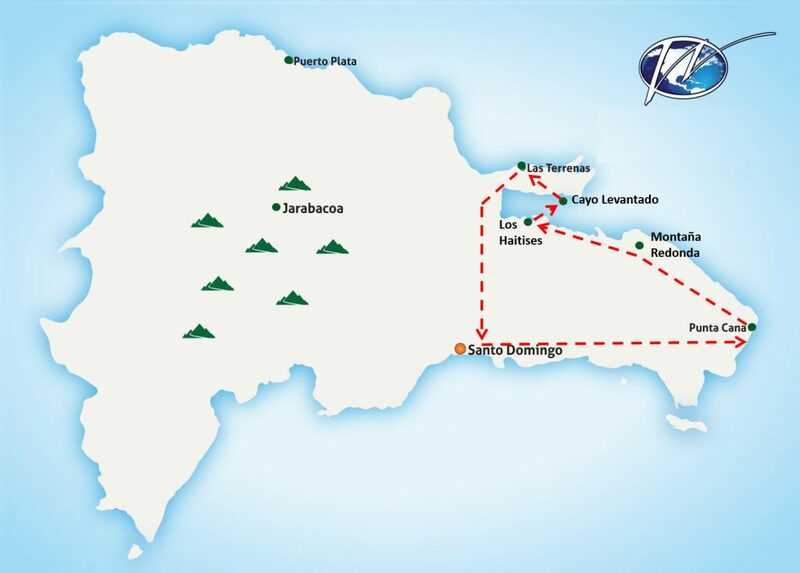 From here you will fly straight to Punta Cana with great aerial views of the areas you have seen in the past days: the bay of Samaná, National Park Los Haitises and the coastline in and around Punta Cana. From the airport in Punta Cana a private transfer will bring you back to your hotel. – Optional tips, personal expenses, souvenirs, visa fees etc. This package is especially suitable to book before, in between or after an all-inclusive stay in a resort in Punta Cana. It can start at every resort in Punta Cana, Cap Cana, Bavaro, Macao and Uvero Alto. Please contact us for our available specials if you also would like to book your resort or excursions through us.